Blog Quick Quotes: January Club Q with Donna! January Club Q with Donna! Hi everyone! 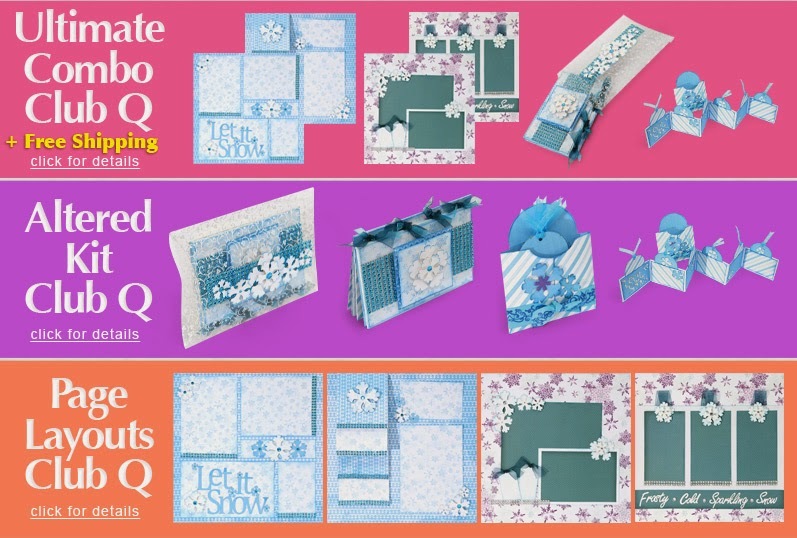 Donna here with another layout using pieces from the January Club Q kits. This is my grandson and his first time out it the snow. From his great big smile you can tell he loved it! I love the light blue and the deep purple colors look so awesome together. 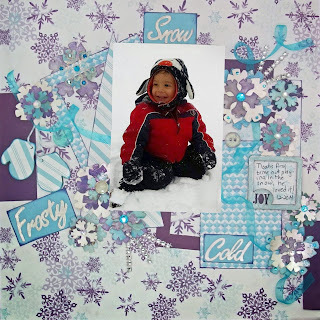 Using all the different sizes of snowflakes in the kit I went to work and layered them, I also used PowderPuff Chalk Inks and clear embossing powder to add a bit of shimmer to the snowflakes, then topped them with the bling that was in the kit to finish it off.